Renault has named its new crossover the Kadjar. Details are few and far between at the moment, but expect the new model to reach the UK in the winter after a premiere at the 2015 Geneva Motor Show. 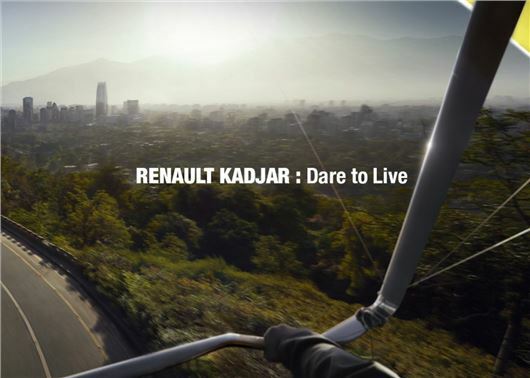 Renault hasn't revealed any images of the Kadjar yet, bar a teaser picture (see above) but it's understood that photos and videos will be posted daily before the wraps come off the new model on the 2 February. The Nissan Qashqai rival will be placed above the smaller Captur in the Renault range and most likely be offered with the same 1.2-litre turbo petrol and 1.5-litre turbo diesel engines. Industry insiders tell us that the new crossover will utilise the French car manufacturer’s close relationship with Nissan and use the same platform and engines as the Qashqai. Like the Nissan, the Renault will also be offered with the choice of front-wheel or four-wheel drive. According to the PR material, the name Kadjar is inspired by the word ‘quad’ – representing a go-anywhere four-wheeled vehicle. The 'jar' comes from the French words ‘agile’ and ‘jaillir’, which represents agility. Expect more details to be announced over the coming days.